We are experts in the areas of innovation and growth. As practitioners and as former product managers, we understand what inputs are needed to help companies grow. We are able to assist the companies we serve frame up their innovation challenge in the customers’ terms. Through a repeatable and sustainable approach focused on identifying and prioritizing the needs customers have based on the jobs they are trying to get done, we guarantee we are able to identify opportunities for innovation. Although we interview customers and use surveys, we are not market researchers. Rather, we are broad thinkers and business leaders whose passion for learning and growth compels us to "jump in with both feet." We thrive when working on new and compelling business challenges with a team of trusted and motivated experts. That’s what we bring to the table. If you share our passion, please contact us. We are always looking for new clients and new colleagues. Zac helps both established companies and new ventures identify growth opportunities. 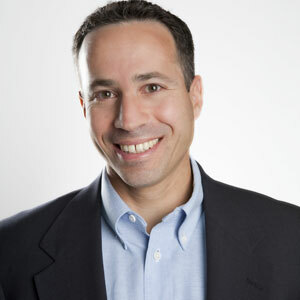 He has a marketing and product management background with broad analytical problem-solving and business leadership skills developed through over 20 years of related work experiences at Deloitte Consulting, PwC Consulting, Intuit, and Strategyn Consulting. His expertise is in the information, technology, and services industries. Zac has a proven track record in growing revenue and profits through an agile, needs-driven approach to innovation. A thought leader, he has a blog called Agile Innovation, is the author of the white paper, Outcome-Driven Market Positioning, and has a patent for a new tax preparation method. He earned a Bachelor of Science in systems engineering with high distinction from the University of Virginia and an MBA with honors from UCLA’s Anderson School of Management.